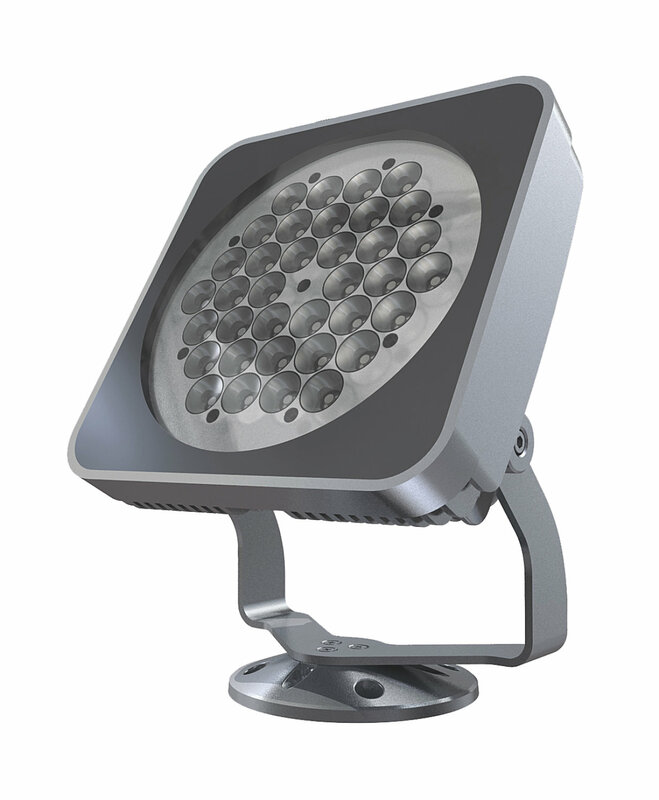 Simple, compact, high efficacy exterior illumination. FLEXIBILITY Extremely efficient RGB LEDs are capable of producing nearly any imaginable illumination scenario, while the Dynamic White option lends sophisticated ambiance to various outdoor environments. Equipped with adjustable bracket allows flexible beam aiming. Various beam spread options allow gentle illumination or focused grazing. SIMPLICITY AC Line voltage eliminates the need for external power supplies and enables a daisy-chain topology for easy installation. INNOVATION Compact design with superior brightness of 1340 lumens (RGB) and 2631 to 3629 lumens (3000K to 6500K); and high efficacy of 26 Im/W (RGB) and 67 to 92 Im/W (3000K to 6500K).